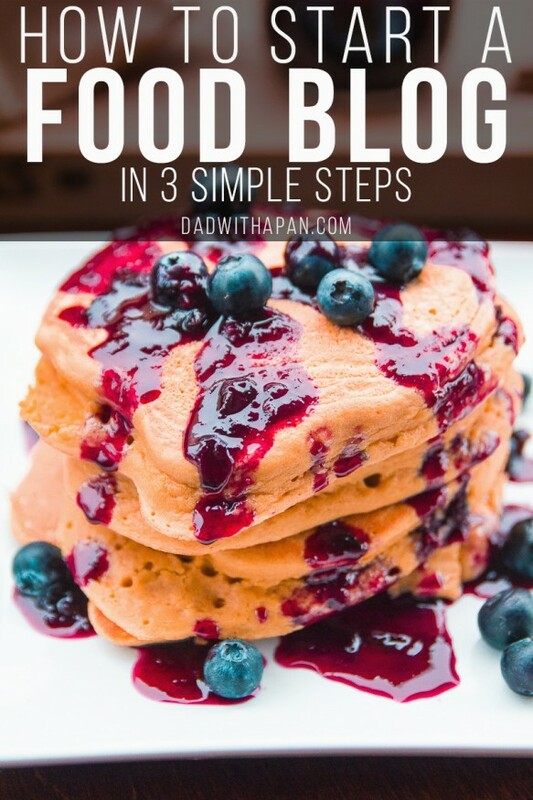 3 Steps to beginning your own food blogging journey! So you’ve got a passion for cooking, and all your friends and family love your dishes, right? You could open a restaurant and share your food with the world, orrr.. you could start a food blog! I think if you compare cost of starting a food blog vs a restaurant, I think you’ll pick the latter! So how to start a food blog… Well you obviously need a website to host your blog, and of course, all your yummy recipes! While I can’t tell you how to make an amazing recipe, I can at least point you in the right direction on the technical side on how to get set up with your own blog primed and ready for food blogging! Disclosure: Some of the links in this post are “affiliate links.” This means if you click on the link and buy the item, I will receive an affiliate commission. All products listed I either use currently or have in the past and highly recommend! Before I even go into the technical side on how to start a food blog, I want to share what I did to get started on a food blog that really worked for me, and that was setting up a mini-business plan and treated this blog as my own little business. What is my goal for this blog? Is it a hobby? A business? Who was I targeting in my blog? How was I going to attract that niche? What will make my blog stand out from the rest? What goals do I need to achieve to make this all happen? You don’t need to copy this exactly, but I highly recommend going into this with some sort of plan and expectations for yourself and keep yourself accountable to this plan. It’s also a good idea to check this plan quarterly/bi-annually/annually (whatever interval works for you), to check where you’re at and update your plan accordingly! Ok, you have a plan, now what? Aside from your amazing recipes, you’ll need somewhere to put them right? Most beginner food blogger’s are using a simple hosting plan and easy to use blogging tools and plugins. I put together for you a guide on where to go to find these tools and how to set them up! 1. Get started with a domain and host for your blog. Decide on the name of your blog. I’d suggest finding something that stands out and targets the niche you’re in. It’ll take a little time and brainstorming to come up with something catchy, and available. 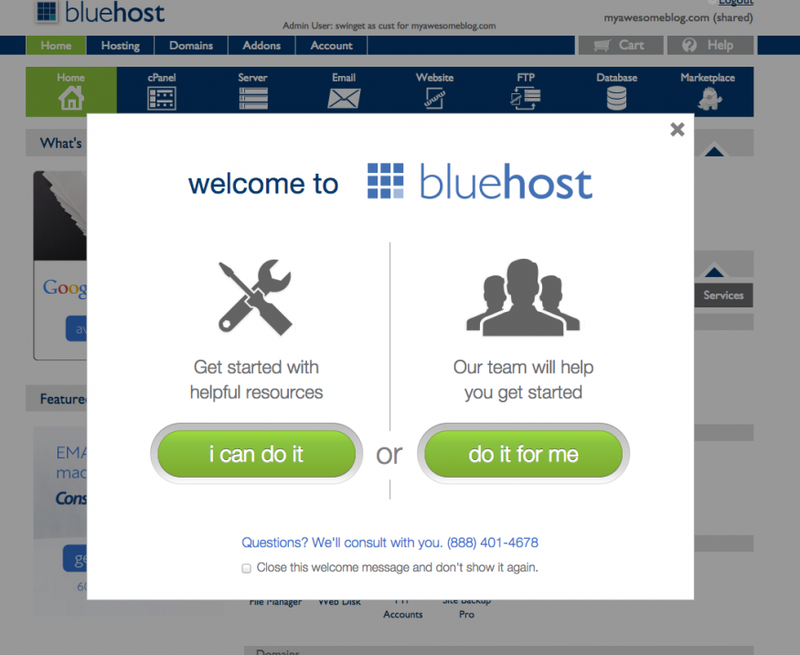 I like to use Bluehost to see if the domain is available. So after you’ve figured out what you’re going to call your food blog, you’ll obviously want to host the site somewhere right? 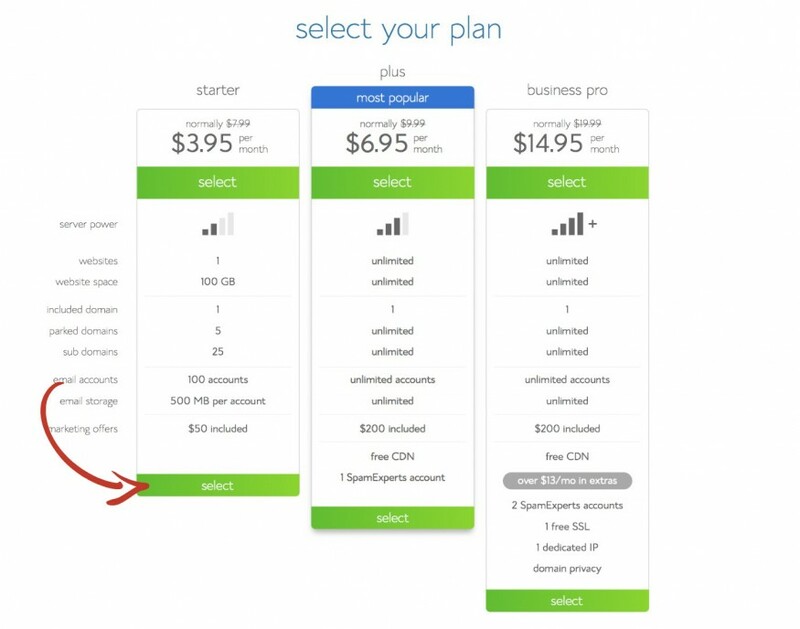 Bluehost has some good plans for you to get started. I’ve use them a lot in other projects, as well as starting this one. Their starter plan is a good deal without breaking the bank, and will give you enough power to get you up and running! 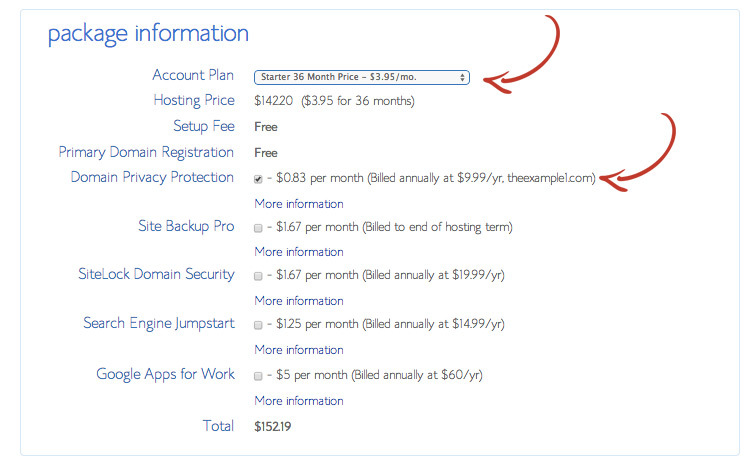 Here’s a screenshot showing what I use for my package, I definitely recommend adding Domain Privacy Protection! Alright! So now you’re got a place to host your food blog, so… now what? 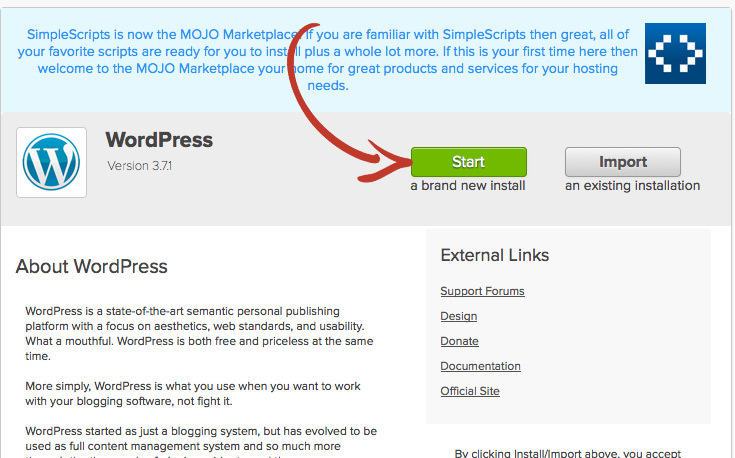 Well you’re going to want to use WordPress. In case you’re not familiar with WordPress, it is a popular blogging platform and is used by the majority of bloggers including myself! It’s very easy to use, and has a huge community offering plugins that can extend WordPress into something you didn’t think you were capable of doing without being a computer programmer! 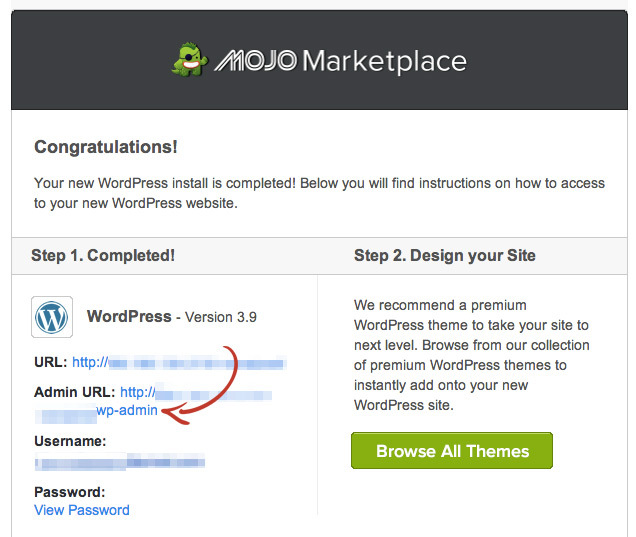 So let’s get WordPress installed! 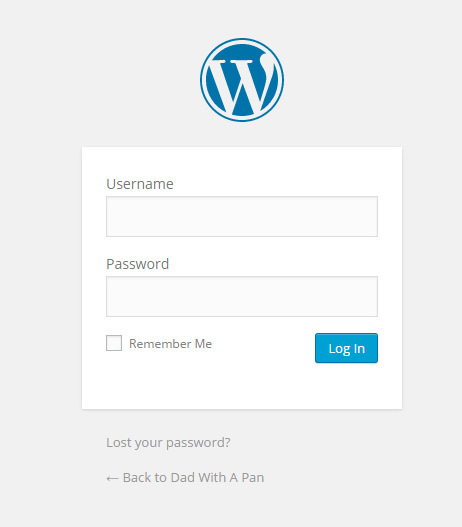 First thing you need to do from the Hosting Tab, is access your cPanel, and click on the WordPress logo to begin installation. You’ll get a pop-over, click “I can do it” Because you can. I believe in you! ???? 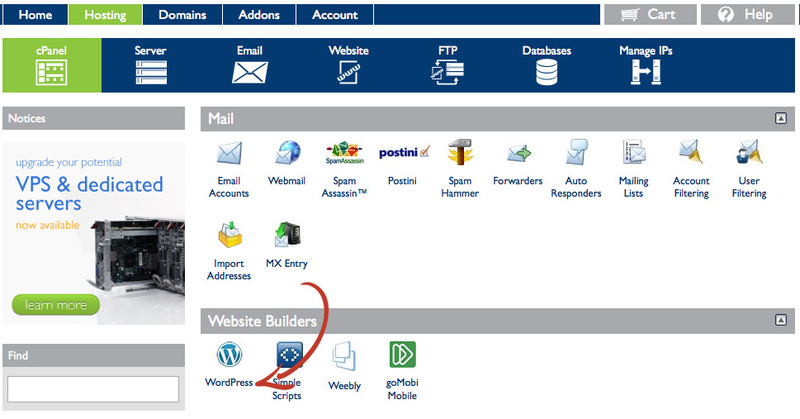 Your domain name should appear in the next window. Click “Check Domain” to continue. 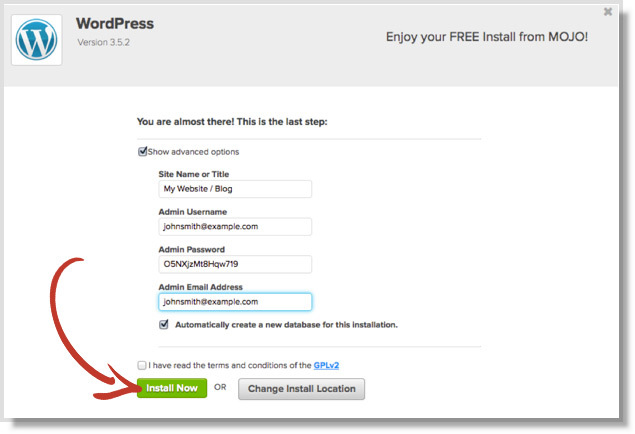 You’ll need to Enter the name of your blog and create an admin account, check the “Show advanced options” and “Automatically create a new database…” boxes then fill out the form that appears. Note: for your password it is highly recommended that you use a randomly generated password to keep your admin account secure from hackers. When you install is complete you’ll see an orange alert bar, click “View Credentials” to gt the information you’ll need to access your blog’s Admin panel. So all the blurred out stuff yeah but I’m is the important thing’s you’ll want to jot down, especially your Admin URL and Username. Screen cap this page, or copy and paste into your notes. Type your Admin URL into your web browser. You’ll see a login screen like the one below. Enter the Username and Password you copied from the previous step. And there you have IT! A brand new blog ready for your delicious food recipes! 3. Get Your Blog Food Ready! So you got WordPress up and you’re officially a food blogger, It’s time to pretty up that blog! Unless you’re into the Twenty Fifteen Theme, then have at it my friend! 1. Betheme – This is the theme I’m running on my site. You pay once and get access to all updates, and their amazing support forum. They recently even added a recipe skin to their theme! 2. The Genesis Framework – This is probably the theme with the foodie skin that you’d associate with a food blog. Look around, you’ll know what I’m talking about. Simple and easy to use! 3. 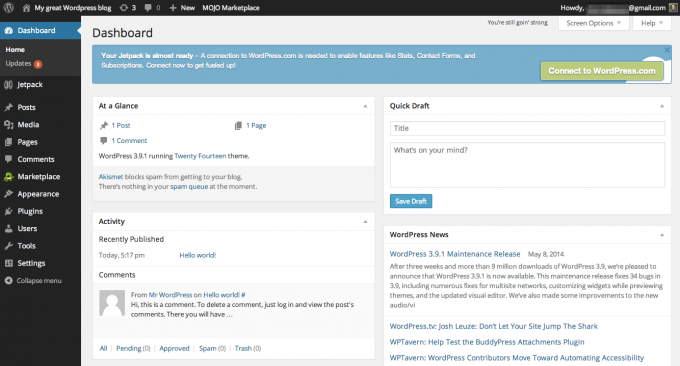 Elegant Themes – Want to stand out from the crowd? Pay a yearly subscription and get access to their collection of themes and library, you can’t beat that deal! Ok, you have a food blog. Now what? So we got all the technical stuff out of the way, for the most part. Now it’s time to get ready for lots of learning. Finding out what works, for your and getting plugged into the amazing network of bloggers out there! It takes a lot of hard work, passion for what you do, and of course a bit of luck! I enjoy food blogging and technology and love to share what I’ve learned and what works for me. If you’re interested in keeping in the loop, sign up for my Food Bloggers Newsletter and I’ll keep you posted on anything I’ve done that has helped my blog and could work for you!